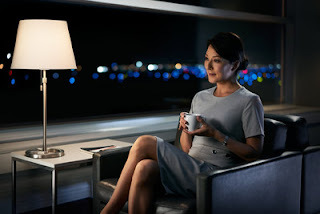 Air Canada launched an expansive multi-media advertising campaign this week, to showcase for customers the industry leading attributes and benefits of its award-winning, North America Business Class service and its commitment to customer service excellence. The campaign is set to run until June 2, including a three-week television component starting today to coincide with the beginning of the NHL playoffs. Among the unique offerings of Air Canada North America Business Class are an elevated end-to-end travel experience, with airport priority services, access to Maple Leaf Lounges, a dedicated aircraft cabin with larger seats, complimentary meal and beverage service including a wine selection curated by Air Canada sommelier Véronique Rivest, seatback in-flight entertainment with more than 600 hours of content in 15 languages and the Altitude Loyalty Program. Air Canada customers can also enrol in Air Canada for Business, a tailored program offering travel benefits for small and medium-sized enterprises.